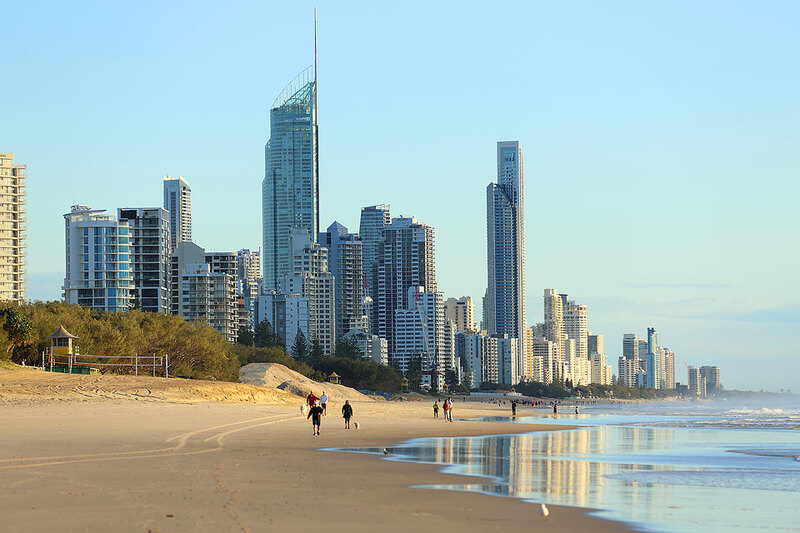 It has never been easier to find tenants on the Gold Coast with seven suburbs featuring in the nation’s top 10 rental hot spots. “The Gold Coast’s growing popularity reflects the strong jobs growth the region is achieving on the back of the upcoming 2018 Commonwealth Games and associated infrastructure development,” REA chief economist Nerida Conisbee’s Eureka Report, released last week. “A possible risk, however, is that rental demand might come off once the infrastructure is in place and the Games have come and gone. While investors are smiling, tenants are struggling to find properties with agents reporting at least a dozen parties showing up at rental inspections. Harcourts Coastal business development manager Brent Martens said inquiries for rentals on the Coast were “through the roof” and pushing prices up. He said open inspections were now the norm with up to 15 parties attending and multiple applications. “Four or five years ago you would have inspections via appointment but now we just need to get the parties through the door,” he said. Mr Martens predicted the rental market to remain steady after the Games. “A lot of people are moving to the Gold Coast from interstate and a lot of people are selling their houses because the market is good and looking for rentals,” he said. REIQ Gold Coast zone chairman John Newlands said population growth and new industries on the Coast would keep the city on the map. “I think it (rental market) will plateau for a while after the Games,” he said. “It hopefully won’t dip because those other industries that have been created – filmmaking and the large health precinct will certainly help the Coast in the future. “I genuinely think we’ve benefited in the lead-up to the Games with road infrastructure, and the extension of the light rail,” Mr Newlands said.